We have now finished the Cleveland renga! Congratulations to all who participated by contributing lines! (to see the opening stanzas, click here for part one, click here for part two, and here for part three). Anyone can join in! To contribute, add your stanza to the comments! Last May, some of the best poets in Cleveland were invited to compete in the Best Cleveland Poem contest, and the top poets were invited to perform their poems for an audience at Willoughby Brewing Company. 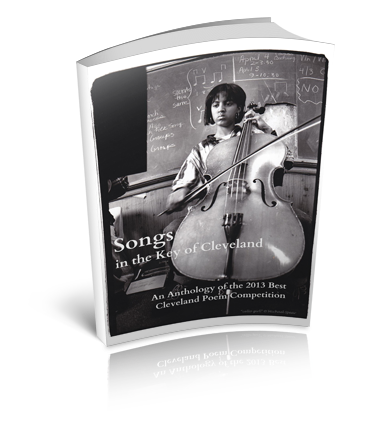 Now, Crisis Chronicles Press has published Songs in the Key of Cleveland: An Anthology of the 2013 Best Cleveland Poem Competition, featuring the best poems from the contest. The anthology has poems by by Catherine Criswell, Katie Daley, T.M. Göttl, Dianne Borsenik, Geoffrey Landis, Joshua Gage, Terry Provost, Jack McGuane, Ruth J. Coffey, Martin Snyder, Jeffrey Bowen, Mary A. Turzillo and Ray McNiece. The official book launch will be March 3rd reading at the "Mondays At Mahall's" reading series (first Monday of every month, 7:30 – 9:30pm, at Mahall's 20 Lanes, 13200 Madison Avenue, Lakewood). See you there? This year has been the best of times, it has been the worst of times for Cleveland poet Russell Atkins. The best is the new book on him by Pleiades Press, Russell Atkins: On the Life and Work of an American Master, ed. by former Clevelander Kevin Prufer and Michael Dumanis. Please consider ordering a copy from your favorite independent bookstore. The worst was the forcible removal of Russell to a nursing home, without allowing him to take his possessions. Four of us have been visiting and assisting him in recovering from all this. "This is an astounding tribute to one of the most innovative American artists, Russell Atkins, by a small, independent publisher, Pleiades Press. Prufer, a professor in the Creative Writing Program at the University of Houston , and Dumanis, a professor at Bennington College, put together this labor of love, paying homage to Atkins, this peerless yet largely unknown poet, composer, dramatist, theorist, and editor." "Russell Atkins is an American original, representative of an often African-American or increasingly Hispanic American working class side of American culture and society which is at an ever increasing rate being dropped by the wayside. This is the down and out, every day underbelly of American cities. As Sean Singer argues, for Atkins “the urban environment is a vital source for [Atkins’] imagination. Urban life, and specifically black urban life, is important to his work. Cleveland, and the cultural imagination of Cleveland, are ‘main characters’ in most of Atkins’ work.” His writings are of a quirky, odd sort and there’s no easy “fit” for them, since there’s often nothing very fashionable happening in them—not now and not at the time he was writing. Born and raised in Cleveland, he’s never left. The majority of his published books come from small presses, with the possible exception of Paul Bremen’s Heritage Series published out of London in the 60s. In 1976, Cleveland State University brought out the largest selection of his poems entitled Here In The. There has been little attention given his work on any significant public level since. The inclusion of Russell Atkins’ work in the Unsung Masters series by Pleiades Press seems destined. He’s exactly of the sort whose work and life this project is meant to serve." 60 poets in 11 hours-- plus you! Yes, Snoetry is back, this time at Guide to Kulchur bookstore, in the Gordon Square district near the Capitol Theatre and Cleveland Public Theatre. Featuring writers from several states! Lix & Kix, clevelandpoetry.com and friends present the 4th almost annual Snoetry winter wordfest, Sunday 16 March from noon to 11 pm at Guide To Kulchur: Text, Art, and News in the Gordon Square arts district of Cleveland, Ohio. Open mic from noon to 1 p.m. 60 featured poets from 1 to 11 p.m.
Potluck and BYOB. If you have any questions, please contact John on Facebook or at jc at crisischronicles.com. Or check the Snoetry-4 facebook page. ...and, if you're suffering from withdrawal from not enough Snoetry: join the Snoetry Withdrawal support group. Cleveland Collaborative Renga: Part 3! Contribute to the Cleveland Collaborative Renga! (to see the opening stanzas, click here for part one, and click here for part two). 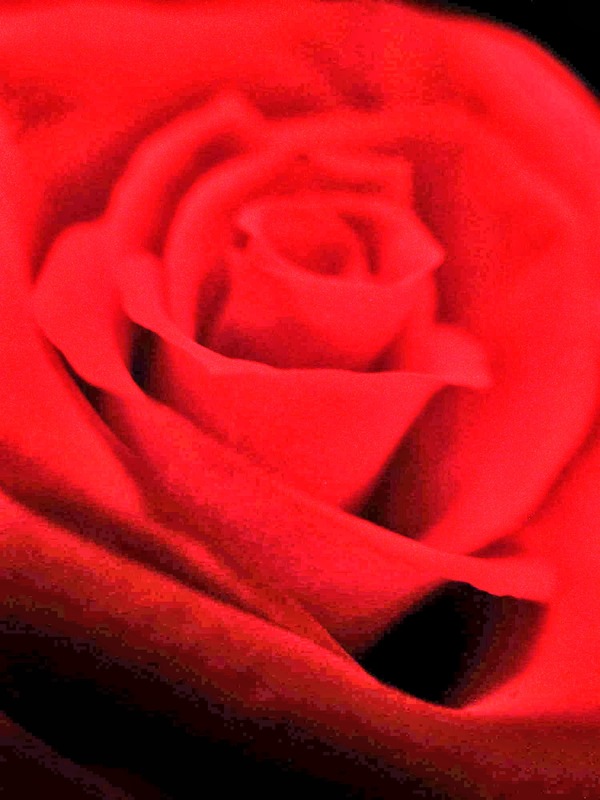 The most recent issue of Silver Blade Magazine has Mary A. Turzillo and me as the featured poets, including a couple of poems from each of us, and an interview with both of us by editor John C. Mannone﻿. And he says flattering things about us, too! 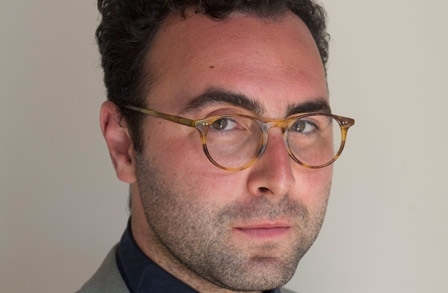 Michael Lista, in the (Canadian) National Post, warns of the "literary industrial complex". His advice: publish less. Ouch! I think I like this guy. "...like the munitions factory whose only enemy is an armistice, the Literary Industrial Complex in this country requires an unbroken draught of verbiage, regardless of the quality, for its continued solvency. It dovetails nicely with the post-Humanist aesthetic that presently predominates English-language verse, which values the elliptical, the runic, the evasively verbose, in which questions of aesthetic merit dissolve in a sociological and stylistic bath, poems that buy into what Ange Mlinko has called “the sense that the lid has been ripped off any consensual definition of poetry, and that for a new generation it has been a test of one’s authenticity to write poems that evade all criteria for a ‘good poem.’ ” And the more of it the better." Songwriting is a form of poetry, too. 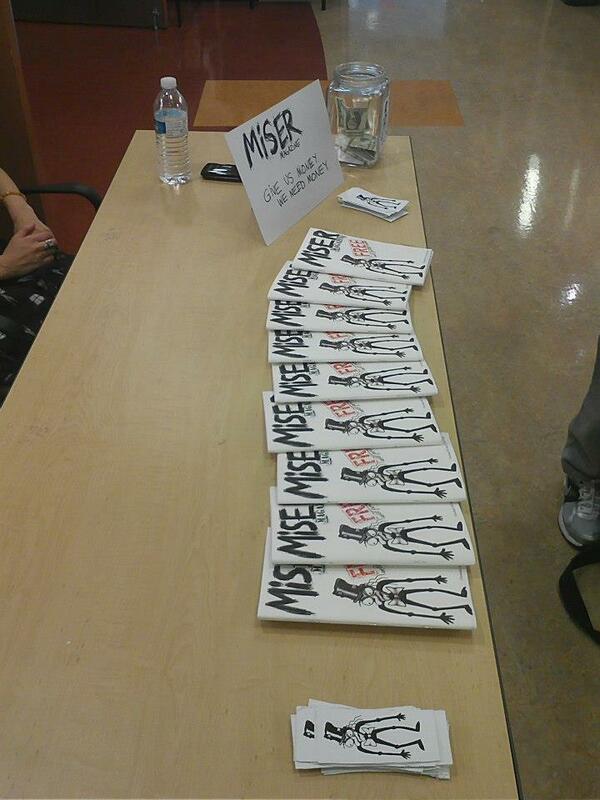 only these songs to sing before I go…"
Miser, a Cleveland 'zine put out by Nicole Hennessy and Lauren Dulay, just got a nice call-out by Nikki Delamotte in Cellar Door Cleveland. George Bilgere's new collection of poetry, Imperial, just got a review by John Freeman in the Plain Dealer. "Bilgere, who teaches at John Carroll University, is a companionable guide to what he calls, a little obviously, 'the shared mystery / of being human.' His lines possess the easy, colloquial rhythm of prose and the imagist glint of good poetry. He recalls 'the dark mouths of garages' in his childhood St. Louis, lobsters’ 'steaming vaults / ready to be plundered.'"